Was at the QF between Pollok and Talbot at Newlandsfield, crowd of around 1700-1800 iirc, and there's not a chance it could host a Junior Cup Final. Kick Off was held up slightly to allow that size of crowd in, no or very basic (to be kind) toilet facilities, no parking etc etc. Final should be held in early May on an agreed date with 2 or 3 Grounds picked at start of Season which can then be selected from depending on finalists (East vs East, West vs West, West vs East). Getting to March / April and not knowing when or where Final is to be held is ridiculous. Holding it on an Astroturf is shoddy as well. You play 15 League Games at Home so if your budget is based on them (which its ludicrous if it is) then that's not Kennie's fault if you've spent the income from the other 14 and not budgeted properly. Kennie has done well to bring fixtures forward when possible and is then getting grief cause teams are finishing earlier. Cannae win. 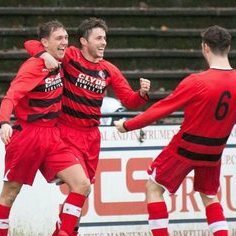 Beith have been granted permits to play Friendlies vs both Kilbirnie (had only played once in League) and Troon (had played twice) this season. Maybe they only enforce the rule if it's two teams who are close together in division - both close to relegation or promotion?? Great work Kennie. Bound to be the odd wee blip with so many fixtures / teams. Beith down to play Pollok away from home twice in May. Was at the game yesterday and it was a non contest after the red card, however would likely have been a non contest anyway as Petershill are a poor side. How their Manager still has his job after numerous 5 or more goal humpings this season is remarkable. 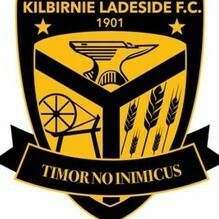 Current Talbot side are in great form but a heavy defeat next week and it could all unravel, or they could do themselves proud and go on to do a clean sweep. Re points about Ayr resting players - the starting 11 in Ayr's match after the Cup tie vs Beith (5-0 win away to Dundee Utd) had only 1 change from the 11 which started at Bellsdale. What you heard is utter fabrication. 2 or 3 elderly fans did not go in at half time purely because they didn't realise that they were allowed in. An excellent first post on Pie and Bovril though! Ayr took approx 860 to Beith. They handed back approx 140 of their 1000 tickets when they arrived yesterday. Agree, I'd imagine Collins and Milliken will be looking to score at least 40 each with Christie, Frize and Bradley chipping in with at least 5 to 10 each. Beith 107-0 Ayr..... anything less will probably result in the committee and management being hanged at dawn on Sunday. No. We battered Morton for 90 mins that day. Strikers just didn't bring their shooting boots. 6 breaks up the pitch undone us. Hard to take. Most goals scored, least goals conceded, most points.... that's what the record books show. At the moment Hurlfords form means nobody is challenging. Should they all sack their Managers? We turned up at Buffs a month ago with 11 fit players. Injuries have killed us so far and yesterday was just a freak game spoiled with a horrendous referee and us being too deep 2nd half. Did you want Millar sacked at half time?